How do you figure out if I really have this problem? There are times when a bounce test will reveal this problem. If you happen to get an alignment on all four-wheels then the problem will likely show up. It is because the control arm has a lot to do with the angle and position of the wheel. Obviously, this has a direct connection with how your wheels align and why they would show up in an alignment. What is a bounce test? A bounce test is pretty much what it sounds like in definition. A technician will push down on the front end of the vehicle, an Optima in this case, and watch the result. The bounce can tell a mechanic or a technician a lot about the state of the suspension and the control arms. I got my new bushings covered in oil. I’ve heard that is a problem, I really hope it is not, is that really a problem? Yes. The rubber bushings should not make contact with oil, grease, or heat. If my bushings have problems then is it ok to drive with them? It really depends on how much wear and tear your bushings have taken over time. If your bushings are worn down then you should avoid driving anywhere. If you have metal on metal contact then it will only wear down your vehicle more and more over time and it will damage your suspension. Your vehicle’s handling will also be adversely affected. However, if all you are getting is a squeak when you drive over a bump then you are probably going to be just fine to drive the vehicle to a repair facility. Well, this is about of a good as time to mention that I don’t really know what a control arm bushing is anyway. Could you tell me about this product? The bushing is a smallish rubber part that belongs to the control arm. The bushing lets the control arm pivot as necessary. I’ve heard that I should get an alignment if I’m having my control arm serviced, is that true? Yes. You should have an alignment during that time period. You should also have your ball joint looked at the same time. You should also have your ball joint, sway bar links, and your tie rod ends replaced as well. Ok, well this sounds like something I want to keep ahead of instead of being surprised about. When do I bring this in to be serviced? There is no set time frame but most people have them checked around the 100,000-mile mark. The number could be shortened if you drive over bad roads. If you drive aggressively then your control arm bushings could also wear out faster as well. Keep in mind that there are control arms that have the bushings permanently affixed to the control arm. If you have a model where this is the case then your entire control arm will have to be replaced. If I do have a worn down bushing then what will my vehicle do? How should I expect it to act? A knocking sound may be present because you may be experiencing metal to metal contact. Keep in mind this will happen if your bushings are very worn down. If they are very worn down then your tire wear will likely be uneven and you will notice that your vehicle will pull to one side or the other. If they are just beginning to wear out then you will hear a squeaking sound when you encounter bumps. If this is related to the suspension then this means that my vehicle needs to be lifted in order to get this part repaired, right? Correct, your Kia Optima will be lifted. Your wheel and tire will have to be removed in order to access the control arm. The control arm will have to be removed as well. The connection to the frame or the lower ball joint will also have to be disconnected. If it is an upper control arm then it will have to be removed from the steering knuckle and the strut tower. Ok, so how does this thing work anyway? The rubber bushing absorbs and distributes the impacts and vibrations. I don’t think I have the money to cover this repair. Is there something I can do to get my vehicle fixed? I really need it. If you have 25 dollars and a bank account then we are very likely to be able to help you. We have access to a program that will approve 95% of the people we see if you fill the requirements as previously noted. You can stop by and see what we can do for you. Where are you located? 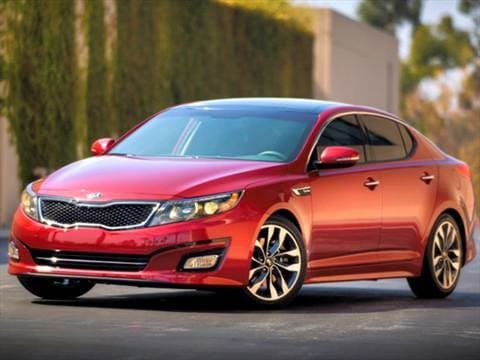 Where do I take my 2015 Kia Optima? Can I call you first to talk to you? You can visit us in the shop during business hours by visiting 19460 SW 89th Ave. Tualatin, OR 97062. You can also call us by dialing 503-692-0846 and talking to us on the phone during business hours.